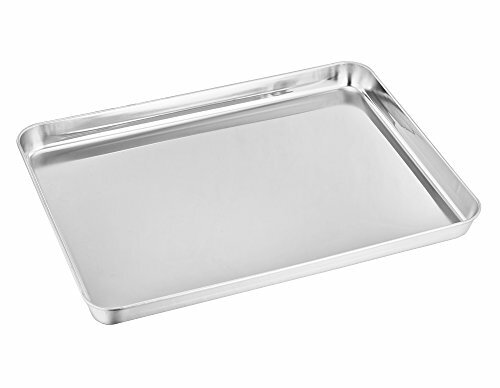 TeamFar Stainless Steel Toaster Oven Tray Pan Ovenware Professional, is made of high quality 430 18/0 stainless steel without any coating or other materials. It's healthy for your daily use and help you to get rid of toxic aluminum products. No more toxic substance into your food unconsciously. 2. Please clean the toaster oven tray after using for your healthy daily use. 3. Please dry thoroughly before storing and stored in dry place for its durability. 4. Please use soft cleaning rag to clean the tray for the beauty of its surface.